There was a time in the fifties and sixties, when Graphic Design was loose and undefined. Commercial Art was what we did, but other ways of making a quid were there for the taking. If you had the inclination you could design furniture, (for a tiny, unappreciative market), exhibition stands, window displays, and take the odd swipe at product design and other disciplines. Many clients, as long as they had an “ardiss” on tap, had total faith that their aesthetic needs would be met. It wasn’t a big ask. One discovered in London some years later, that this all-round training was a thing of wonder to the Poms, and while they tried pompously to make a case for ‘specialisation’ their hearts weren’t in it. Having escaped the rigours of war-torn Europe, and the demoralisation of his native Prague, George discovered in Melbourne a Fun City and set out to demonstrate it. (The rest of us considered it to be as tight as a duck’s arse). George’s early work was for European clients. 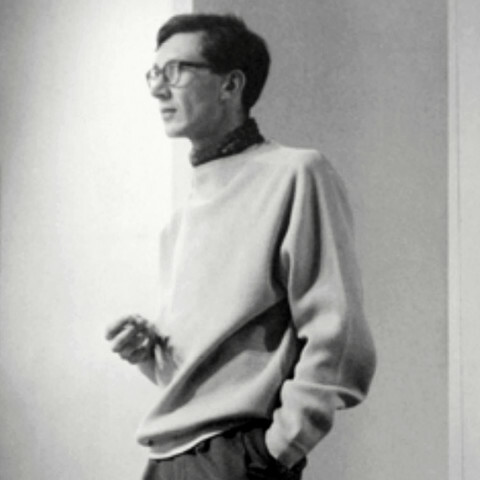 They were starting Gallery A, and invited George to run the design team with architect Bernard Joyce. Gallery A was a unique establishment. Created initially to showcase furniture and display design, the art soon took over from the craft, and the human dynamo, Max Hutchinson, went on to become a celebrated international art dealer, his coup being the sale of ‘Blue Poles’ to the Whitlam government. Managing to stay aloof from the sometimes crude commercial standards of the era, Kral’s work was clearly the breath of new typography on the Australian scene. He was at the height of his creative powers when he died much too soon, in 1978 at the age of 51. This text marked the induction of George Kral into the AGDA Hall of Fame in 1998.